and the joy of finding the perfect pair of shoes. More than a documentary about the coming out of an elderly trans woman, this is a story of two people whose love transcended their traditional gender roles, a small community that comes together to support a friend in pursuit of her greatest dream, and about the joy of finding the perfect pair of shoes. 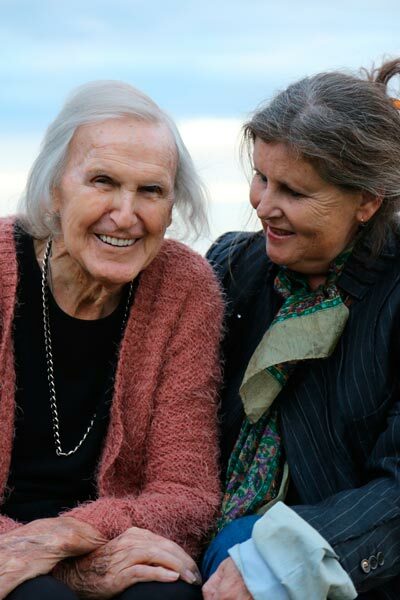 “BECOMING COLLEEN: Finding the Shoe that Fits” is a documentary about an 85 year old transgender woman, transitioning from male to female in the conservative coastal community of Coffs Harbour on the NSW mid-north coast. Carolyn is an award-winning producer with credits that include the Academy Award nominated feature Tanna, the documentaries The Last Goldfish (SFF 2017), A Sense of Self (Walkley Award, AACTA nominee, ABC-TV 2017), Madhattan (Foxtel 2017), and A Law Unto Himself (ABC 2013). Ian studied directing, acting and scriptwriting, and has gathered extensive international experience in Sydney, London, Barcelona, Vienna, Hamburg and Berlin. He has written and directed documentaries about David Byrne, the Berlin Video Art Festival and most recently the internationally awarded ‘Out in the Line-Up’ about homosexuality in surfing. He has also written and directed the stage play ‘The Garden Fence’, and directed a theatre production of ‘The Open Relationship’. His first short film ‘Desiderata’ was a finalist in the Black Nail Film Festival, his short film ‘Atados’ was selected into the Budapest, York and Bogota Short Film Festivals and his most recent short film ‘The Invisible Edge’ has been selected by the London Independent Film Festival, the Mindscape Film Festival in Los Angeles and The Big Anxiety Festival in Sydney. Stephen Gamba is a graduate of AFTRS. He has completed both a diploma in editing and a graduate certificate in editing drama. He has edited several short films and has worked with a number of production companies in Sydney as a freelance editor over the past few years. His previous career as an actor, after studying at NIDA and also studying music and drama teaching at SACAE , has been an added advantage when working on his editing projects.